1. PKC full box package, COA with original office fpp key code, use the code you can download software from official web, activate online and update with stable quality. 2. Use Same with genuine but price half of genuine, buying this product you get more profit from business. 4. Office Professional 2013 is designed to help you create and communicate faster with new, time-saving features and a clean, modern look. Plus, you can save your documents in the cloud on SkyDrive and access them virtually anywhere. - Graphics Graphics hardware acceleration requires a DirectX10 graphics card. 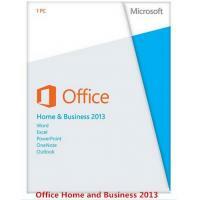 - Version of Word, Excel, PowerPoint, OneNote, Outlook, Access and Publisher. 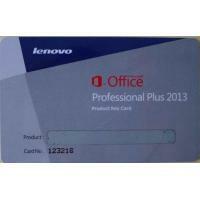 - Office on one PC for business use. 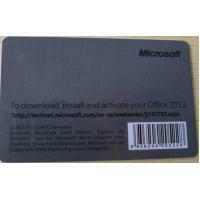 - One-off purchase for the life of your PC; non-transferable. 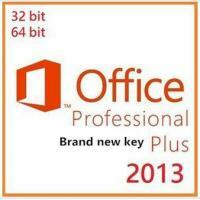 - Free Office Web Apps for accessing, editing and sharing documents. - An improved user interface optimised for a keyboard, pen or touchscreen. 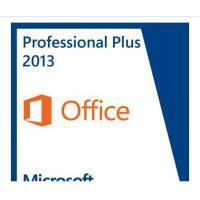 - Get all the latest email, scheduling and task tools in Outlook. - See your Outlook schedule, an appointment or details about a contact without changing screens. - Create more visually compelling presentations with widescreen themes in PowerPoint. - Build a database fast to organise data, accessible anywhere online with Access. - Make your own professional marketing materials using simple – but sharp – tools in Publisher. - Add pictures, videos or online media to your Word documents with a simple drag and drop.